I have a problem I was wondering if you could help me with. I have recently been interested in supplementing my diet with magnesium chloride because I've heard that it could help some of my symptoms of insomnia/ fatigue/ low mood. I have Crohn's disease and as a consequence have had 30cm of the end part of my small bowel removed around 5 years ago. I take 1 multivitamin daily and don't really eat much food with magnesium in it except for a hand full cashews and a little dark chocolate daily. Here's the strange thing, a blood test last month and one I did just a few days ago for Red Cell magnesium have shown that my RC magnesium levels are just over the high end of the range???? Please read my page on Magnesium Levels to see why I completely and entirely ignore magnesium levels in order to determine whether to supplement or not. Hi! I have spent a significant amount of time on this website trying to get the courage to go "all in" on supplements you suggest to start healing my body. I have had chronic urticaria (skin hives) for 15 years and have taken Zyrtec every day in those 15 years to keep them at bay. I have also had low energy most of my life, despite eating clean (I have even ditched gluten and haven't seen any improvement) and exercising daily and being in super excellent health. I have struggled with panic attacks and depression during major life events in the past 4 years. 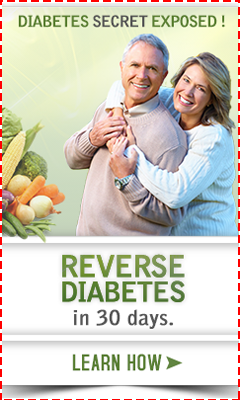 I had my blood vitamin D level checked (43 ng/mL) and recently my magnesium level in a blood draw (2 mg/dL). Both showed that I am in the "normal" range and I think my doctors think I'm crazy for wanting to raise my levels despite their recommendation that I don't need to. I myself think I'm crazy to have the desire to do this and feel alone, despite this online community going through the same thing. After 2 weeks on 5000 IU vitamin D3 per day, I stopped because I went from feeling GREAT the first 5 days to feeling like absolute death the last 4 days. Around day 9-10 I started shaking, muscles felt like they were vibrating nonstop, I couldn't make it through my routine yoga class because my muscles were shaking so badly and I became incredibly weak! I experienced this extreme muscle weakness, with toes/feet/calves that felt like they were half numb, and heart palpitation, and panic attacks (because I was scared that I messed my body up and didn't want to go to Dr.), until I broke down and went to the doctor. He tested my Mg level and did other tests and said I was fine. I think he thought I was crazy or just having anxiety. I started taking 500 mg/day Magnesium Citrate (with nothing else) and noticed a little improvement over 3 days, but I'm scared to take more than that because I don't KNOW that I'm experiencing Mg deficiency and I don't want to do further harm to my body. Do you think I should start taking 5000 IU vitamin D3/K2 daily again, with Mg? I just feel so full of anxiety and depression with this experimentation and I'm scared to continue but I feel like my soul is telling me to raise my vitamin D level up to around 90 ng/mL. Is what I'm experiencing a cause for concern? I feel for you and the situation that you are in. However, I'm not a doctor, and I'm not God either. So I cannot 'assure' you of anything! I can only give you the research and information, which you seem to have read already. All of your symptoms are classic Signs of Magnesium Deficiency, and particularly the negative reactions after taking Vitamin D are classic symptoms of magnesium deficiency. Also, though, I'm not sure why you want to get your Vitamin D levels up so high. I don't mention anywhere on my site to do such a thing, and except in a few specific instances, like in cases of active Multiple Sclerosis, there are no researchers recommending such high blood levels of Vitamin D.
In any case, 5000 IU's is a MAINTENANCE dose for an adult. Unless you weigh less than 100 pounds, a dose of 5000 IU's will merely maintain your current levels or raise them just slightly in absence of other significant sources of Vitamin D.
Also, are you 'just' taking magnesium and vitamin D? I never recommend isolated nutrients, and you also need Vitamin K and Vitamin A in therapeutic doses such as are in the Vitamin D Absorption Pack. So, while I wish that I could 'assure' you that you are doing what you should, I can only give you information and research. If you want more information, why not get Dr. Carolyn Dean's The Magnesium Miracle (Revised and Updated) as well, and get more in-depth info. Another important point, too, is that one does not need to go 'all in' on supplementation. One can work their way up to higher dosages after seeing how they feel. Additionally, if you've been tired for decades, then you got a burst of energy from Vitamin D, maybe you did a lot more than you are used to, and that is what made you so shaky and tired. This could be a sign of Adrenal Gland Fatigue that you 'burned out' after having a few days of energy. Take it easy on yourself and be gentle. You'd felt like crap for many years. Don't expect to feel better overnight. This is a marathon, not a sprint. Yet you are starting off the marathon sprinting! Even experienced marathons don't start out in an all out sprint out of the gate because they know they will burn out. You shouldn't start out sprinting either. Thanks for responding so quickly. 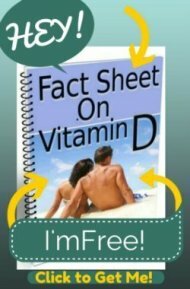 I got my wild and crazy ideas about vitamin D3 supplementation through Dr Gary Levin (natural urticaria treatment), Dr Mercola (mercola.com), and Jeff Bowles book "the miraculous results of extremely high doses of vitamin d3." 5000 iu a day was starting out slow. I will take the multivitamin you suggested as well.